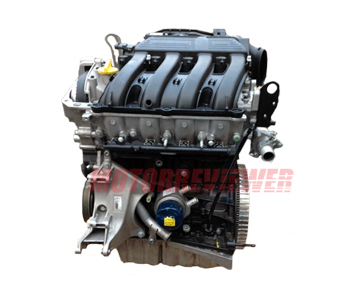 The F4R engine became very popular due to car Megan and some sports models of Renault. There are many modifications of this motor. Each one has index and power output (from 135 hp up to 138 hp). Almost every engine version is interchangeable with others. Beside road versions of the F4R, the manufacturer produced sports variant of this engine for Clio Sport (from 169hp to 200hp). The high-output F4R engine got the electronic throttle, another air filter, steel crankshaft (instead of cast iron), modified cylinder head and exhaust system. The F4R has a timing belt (not a chain). Also, we can say what F4R is the old engine with a long history. All disadvantages of the F4R engine are well known. 1. Ignition coils last not so long. In this case, your engine will shake. 2. Rear main seal leak. That is a usual situation for engines with mileage more than 60,000 miles. 3. Unstable idle rpm. That is a feature of F4R. 4. Oil consumption. F4R loves to consume oil more than other engines.